This post has been written in collaboration with Healbe Corp. Some links in this post are affiliate links. This means I may receive a small percentage of a sale if you click these links and purchase a product. Fitness trackers and fitness smartwatches are so popular these days as they can help you be healthier by motivating you to be more active and helping you achieve your fitness goals. 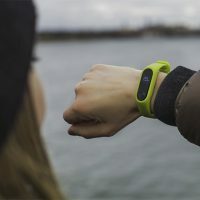 Many brands have developed their own fitness trackers and the industry is now filled with these little fitness gadgets that can help people improve their health. Many of them are very similar in features and they record things like heart rate, the number of steps and calories burned. But there is one gadget which is different from others – this is Healbe GoBe 2* (scroll down for a discount code), a smart-life band which has some unique and exciting features not found in other fitness trackers. 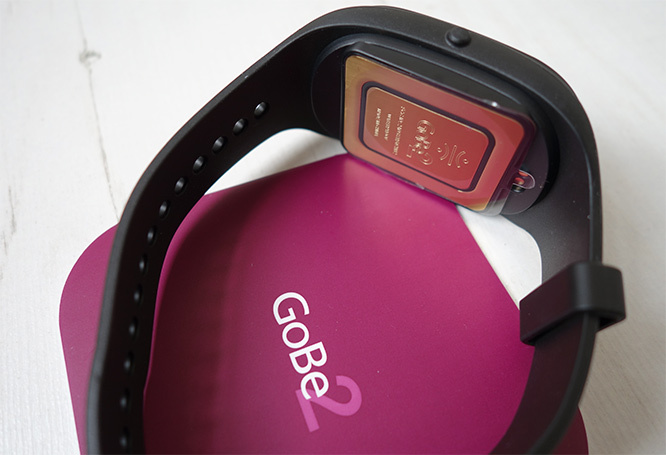 GoBe 2 is designed to automatically count calories and it can even monitor your emotional states. What’s more, it reminds you to drink more water when it detects low water balance in your body and it even records your stress levels. I was really excited to try this fitness gadget as it promised to do so much for my health. This is my first fitness smartwatch so I wasn’t sure what to expect. Now I’ve been using it on and off for almost 2 months (I’ve been abroad) and can tell you all about its features and how it worked for me. 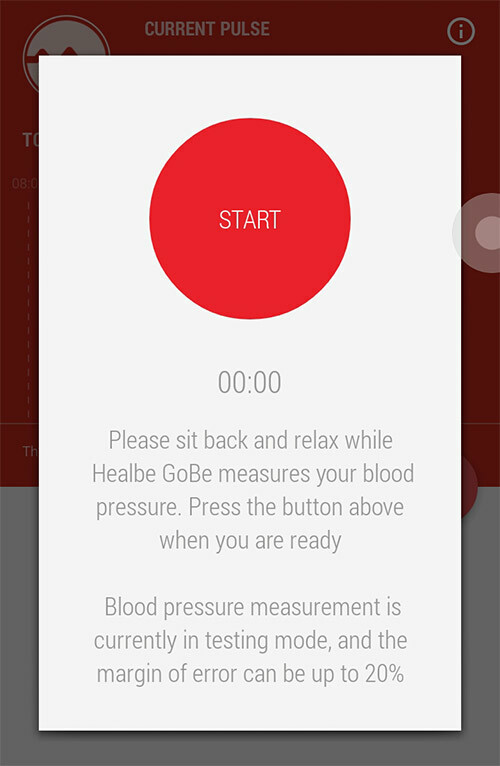 Here is my review in detail and my honest thoughts about Healbe GoBe 2. How does GoBe 2 work? Who is Healbe GoBe 2 for? Who is GoBe 2 not for? First of all, I wanted to mention everything that GoBe 2 can do and its features. A long list of its features cannot compare to any of the existing fitness tracking devices on the market today. I found it fascinating that GoBe 2 can do so much. But this made me ask myself: how does it do all these things? Is it accurate? How does it track calories and how can it tell that you need to drink more? GoBe 2 does all that with a help from a variety of sensors. But if you want the data to be accurate you need to wear this device all the time and only take it off for charging. This is especially important in the beginning as GoBe 2 needs some time to collect the data and analyse it before it gives you accurate recommendations and information. Over time, the accuracy of the data will improve the more often you wear the device. Galvanic skin response sensor – Analyzing how you sweat, the ‘Galvanic skin response’ sensor detects changes in your skin. It may indicate stress, anxiety or emotions like happiness or anger. Knowing better your emotional state will lead you to a mindful and healthy lifestyle. Impedance sensor – intercellular fluid dynamics measurement to track calorie intake and hydration level. Piezo sensor – heart rate and activity level measurement. A Piezo sensor detects pressure changes in blood vessel walls during the pulsation of blood. This method accurately determines the heart rate at rest. 9-axis accelerometer – it consists of an accelerometer, gyroscope, and magnetometer. 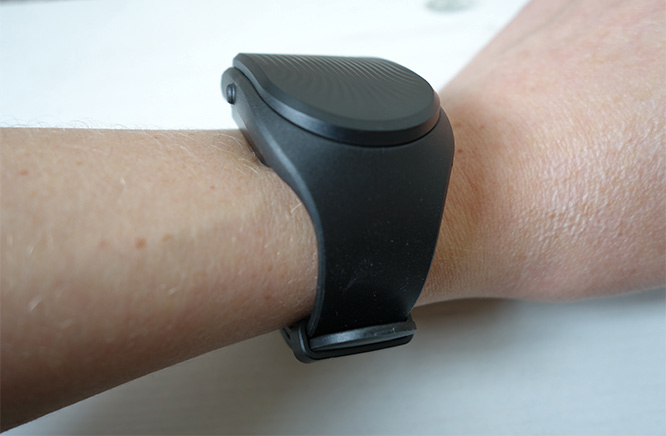 This enables the device to count steps but it’s most accurate when you walk at least 10 minutes with your hands moving freely (your wrist movements are also recorded). GoBe 2 is the first wearable that automatically measures calorie intake and this is a well-desired feature so I thought to explain it in more details. First of all, automatic calorie counting is not as simple as you may think. One important thing to keep in mind is that GoBe 2 does not detect calorie intake instantaneously and that’s because the food needs to be digested first before it is detected by the band. This could take anywhere between 20mins and eight hours; it all depends on the type of food you eat (some type is digested quicker than other). For this reason, when looking at the GoBe app, it may look like you are consuming calories at night although you are not – GoBe 2 is actually showing that you are digesting the food you ate during the day and the calories extracted from this food). The calorie intake that GoBe 2 records has a proven accuracy of 85% and the 15% margin of error is a deviation comparable to calorie estimations on food labels. 1. The calorie counts on food labels and in databases are averages. An error is up to 50%. 2. Our body does not absorb all the calories we consume. An error is up to 10%. 3. How you prepare food changes its calorie load. An error is up to 90%. 4. Individuals absorb calories uniquely and variable. 5. People aren’t great at eyeballing portion sizes. So although GoBe 2 calorie intake measurement is not 100% accurate, its accuracy is really high and it’s been proven by independent testing. In many cases its accuracy is higher than the manual calorie intake tracking. Get 10% off Healbe GoBe 2 by using a discount code BEHEALTHYNOW. Healbe GoBe 2 is for anybody who wants to understand their bodies’ physiology better and improve their lifestyle and in turn, their health. 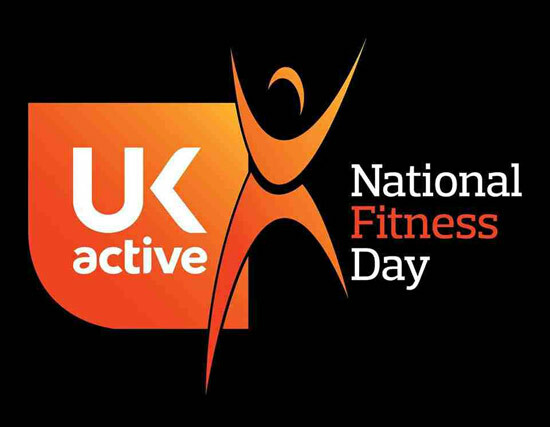 It’s for people who want to be more active and people who are already active. GoBe 2 helps you reach your health and fitness goals by monitoring your heart rate, water balance and burned calories. It reminds you to drink more water so that you refill your body at the right time, based on the data from your body. This helps you perform better during exercise and also promotes general health as well as weight loss. GoBe 2 motivates you to be more active by counting your steps and recording the distance you walk. It also helps you pay more attention to your sleep and helps you wake up at the right time for you. So GoBe 2 is for anyone who wants to lose weight or perform better at sports and it’s also for people who just want to be healthier and weight loss is not their main goal. People with medical issues that can affect water-salt balance, cardiovascular function, kidney function or metabolic processes including, but not limited to, diabetes, chronic hepatitis, circulatory issues, obesity, hormonal imbalance. Premenstrual Syndrome: Women experiencing premenstrual syndrome (PMS) may encounter issues with accuracy due to irregular water retention. Intense physical training (i.e., frequent intensive training, anaerobic activity exceeding 70% of your aerobic capacity or long periods of low-intensity training that leads to muscle fatigue). Cold or tropical climate conditions and regions with significant deviations from normal air humidity (i.e., desert) or atmospheric pressure (i.e., highlands). Always seek the advice of a physician or other qualified health provider with any questions you may have regarding a medical condition and prior to starting a diet or physical fitness program. 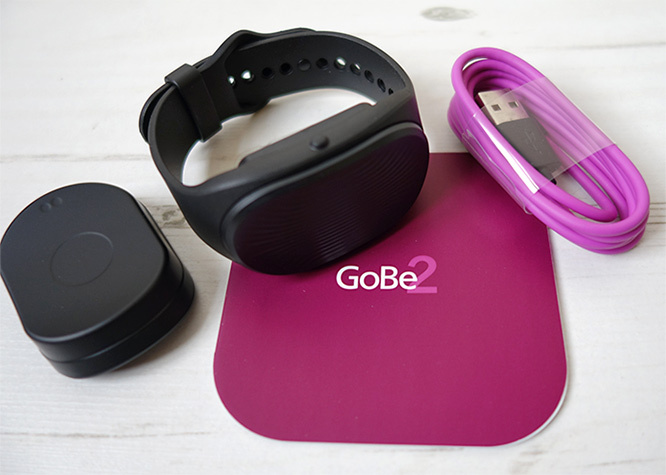 Before using GoBe 2 you need to charge it first. This is easily done by connecting the provided cable to the charging dock and then plugging the cable into a USB port. The charging doesn’t take long, I think it took about an hour or a little bit more to charge it fully for the first time. Once fully charged, you can start using the gadget. First, download the Healbe GoBe app for free either from the Apple App Store or Google Play Store. Once the app is downloaded you need to register your account and fill in the basic information about yourself such as name, age, height and weight. Some of the information you provide is used for calorie counting and step tracking so you need to make sure you give out the accurate information so that the data you get is more accurate. When you put GoBe 2 on your wrist you need to make sure the wristband’s sensors are in full contact with your skin. The device should fit snugly on your wrist. This is a very important step as otherwise, you won’t be getting accurate measurements and information. If the sensors are not in touch with your skin, the device will vibrate, notifying you of the problem (it will display the “no contact” icon) which is a great thing as it means that you cannot wear the device without knowing that it doesn’t sit on your wrist tightly enough. GoBe2 feels quite chunky on my small wrist but after a while, I don’t even know it’s there any more. It’s easy to get used to wearing it but it’s also easy to bump with it into something. In fact, I actually managed to scratch it somehow. I think it went against the wall and some of the colour came off so there are some white spots on it now. But it works perfectly fine despite this little accident. I guess it’s quite resistant to knocks and drops. It’s even waterproof which means that you can wear it in the shower. Although I prefer not to do that and I take it off before showering. Although GoBe 2 is waterproof it is worth noting that you shouldn’t put it in a washing machine or dishwasher where it would be exposed to high water pressure and various liquid substances (this is what it says in the instructions manual). It makes total sense. If I managed to scratch it against the wall, it could easily get damaged in the washing machine or dishwasher as well. You should also not use it in salt water or chlorinated water as this will damage the unit’s casing. So… sorry if you are a swimmer as this may represent a problem for you! I found that when I am wearing the device the whole day, it doesn’t count all the calories that I consume – it only counts about 2/3 of the calories. I learnt that this is because I don’t normally wear the device at night when the rest of the calories are processed. But in theory, if you wear the device all the time, the accuracy of calorie intake is above 85%, as already mentioned. The only problem is that you will see the whole picture the next day and not on the same day. But at least you have an Energy Balance function which tells you how you are progressing through the day and gives you an indication of whether you should be more active. This also has an accuracy of above 85%. I really like it that I can quickly check my progress during the day by looking at the band without checking the app. There is a small button on the side of the band which allows me to navigate through all the options available on the wristband. The first thing that I can see is the time, then the battery levels (after pressing on the button), my heart rate and this is followed by energy balance, the number of steps and the distance. Finally, I get to my body’s hydration levels and if it says ‘low’ it means that I should drink more. Water balance feature is one of my favourite features actually. This has been working really well for me and I was pleasantly surprised at how accurate it was (although not 100% of the time). Within the app, you can set up a time interval during which you receive hydration reminders throughout the day. I set up the app so that I receive reminders on GoBe 2 between 8am and 9pm – you choose the time interval that suits you. This feature is really helping me to drink more water throughout the day as I get reminders if I haven’t had anything to drink for more than 1 hour and during the exercise (when I am sweating). The other features that I found really useful are heart rate monitoring and steps counting and the distance I walk – I have a daily goal in mind that I want to achieve so this keeps me informed and motivated. I haven’t used sleep tracking much as I find GoBe 2 a bit bulky and thought it would disturb me at night. But it doesn’t really disturb my sleep at all, however, I still prefer not to wear it at night which is not good as I don’t get the accurate picture of my calorie intake then! However, I tested this feature fully wearing GoBe 2 for maybe 3 nights and I am quite impressed with the information recorded and the recommendations you then get based on your sleep quality. This is very useful if you have some sleep issues or if you just want to analyse your sleep and see whether there is any room for improvement. It’s pretty accurate. There is a one really good feature which is currently in Beta (experimental) and that’s measuring your blood pressure. I think this feature is really cool and will no doubt attract a certain type of audience in the future once they make it more accurate. If I was going to change anything about Healbe GoBe 2 would be its design – I would like it to be smaller and maybe a little bit more stylish! It would also be good if the battery would last longer (at the moment it lasts more than a day but you still have to charge it every day). The GoBe 2 app is very simple and easy to use although sometimes it takes some time to connect and sync with the gadget. Within the app, it’s interesting to see my heart rate and stress levels over time. I can also see my energy balance in detail with a nutritious breakdown showing how much fats, carbs and protein I consumed (in grams and percentage). My data always shows that I eat more carbs than fat or protein which is accurate. The data in the app is stored for 7 days but you can still see your old data, you just need to log in to Healbe web app. The web app is better as you can see your data on a big screen and it gives you more details – for example, you can see exactly what your heart rate was at the specific time of the day or how many calories you burned at the specific time. In the GoBe 2 app you cannot see all these details. Healbe are constantly working on a mobile app to make it more informative so I expect it will improve in the near future. Also worth nothing, there will be an option in the future to download all the data onto your computer for your own analysis. If you want a complete picture of your health, GoBe 2 works with popular health apps such as Google Fit, Apple Health, Withings App and InKin. 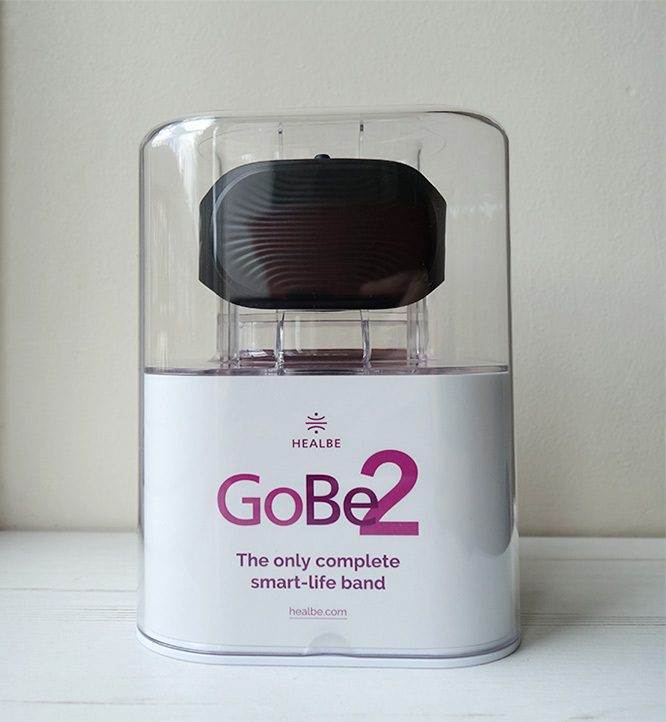 All in all, GoBe 2 must be one of the most exciting smart bands you can wear today since it uses a revolutionary technology not used in any other similar device. It is the ONLY smart band in the world that tracks digested calories and body water automatically which is a very good reason why you should consider buying it. I found water balance monitoring pretty accurate and useful reminders certainly helped me drink more water during the day. I think this is the best and my favourite feature of GoBe 2. Although automatic calorie counting is an amazing feature to have and works with 85% accuracy (more accurate than manual calorie counting in many cases), it comes with its flaws – you have to wear the device constantly to ensure you get accurate reports (which is not a big problem). But the caveat is that you can only see the whole picture of your calorie intake the next day as it can take anything between 20 mins and 8 hours for all the calories to be extracted from the food you ate. It’s interesting though to see spikes of calories on the graph also if they happen at night. It just shows how your body works and how it processes the food. The other unique feature – monitoring your emotional states – is useful as it helps you be more mindful of the way you feel but I don’t think it’s particularly accurate. On the other hand, the sleep tracker is great and fascinating – it gives you lots of information and it’s more accurate than other sleep trackers on the market today. GoBe 2 is in no way perfect and I wish it was smaller and maybe look more stylish but I have no doubt things will improve in the future since its creators are constantly working on making this device better and improving its app. For now, GoBe 2 can still help you be healthier by helping you to drink more, exercise more and be more mindful of the calories you consume and your emotional states. You can buy it directly from Healbe website (get a 10% off with a code BEHEALTHYNOW) or from Amazon. * Full disclosure: This post was created in collaboration with Healbe Corp, who provided GoBe 2 for review, but all views and opinions expressed are my own. This post contains affiliate links – I may get a commission if you purchase a product after clicking on a link. This does not cost you anything.